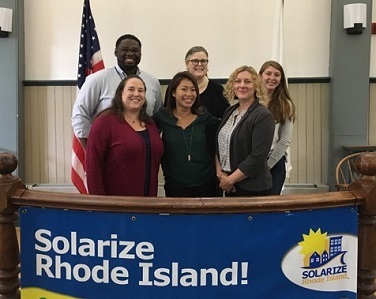 Solarize Rhode Island seeks to expand the adoption of small-scale solar electricity in participating communities through a competitive, tiered-pricing structure that increases savings for everyone as more home and business owners sign contracts. 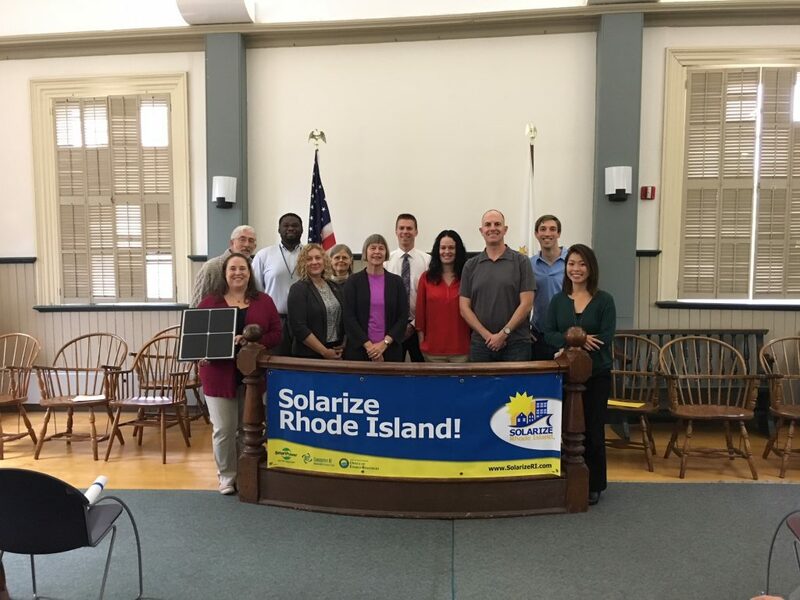 State Solar Incentive Programs – The Renewable Energy Fund (grants) administered by Commerce Rhode Island and the Renewable Energy Growth Program (tariffs) administered by National Grid are limited by available funding or kilowatt capacity that can be awarded each year to Rhode Island residents and businesses. These two solar programs are available on a first-come basis for qualifying projects. 1. Find out if your home is good for solar by signing up. 2. Request a free no-obligation site visit. 3. Receive a quote from a participating solar installer. 4. Ask about $0 down financing. 5. Sign a contract, and enjoy solar savings for years to come. 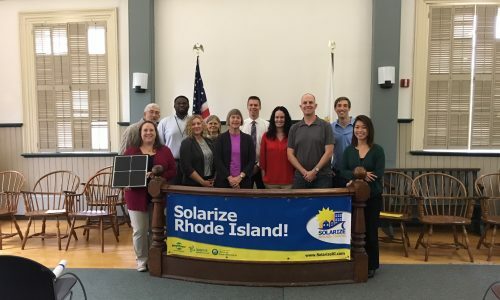 Solarize Rhode Island (Solarize RI) is a program designed to encourage the adoption of residential and commercial solar photovoltaic (PV) systems through a coordinated education, marketing and outreach effort, combined with a tiered pricing structure that provides increased savings to homeowners and businesses as more people go solar. 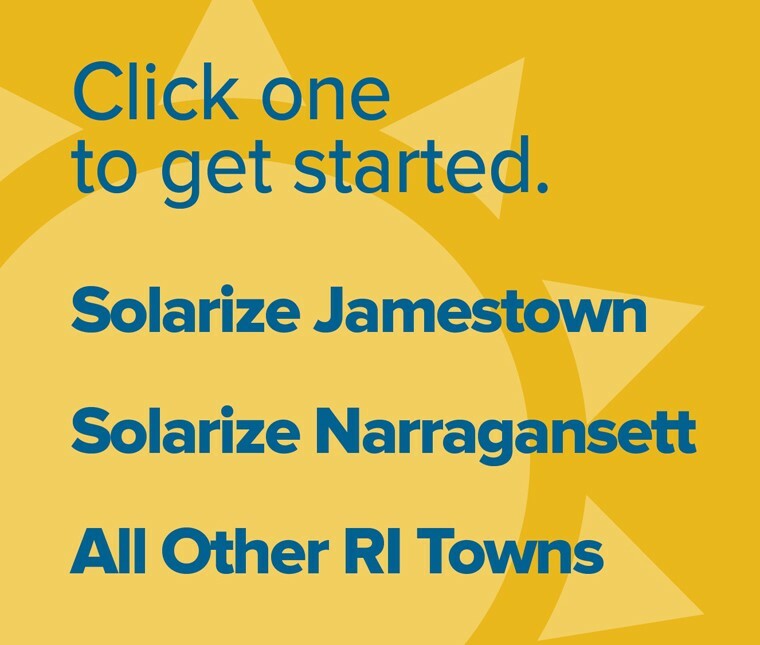 © 2019 Solarize Rhode Island.